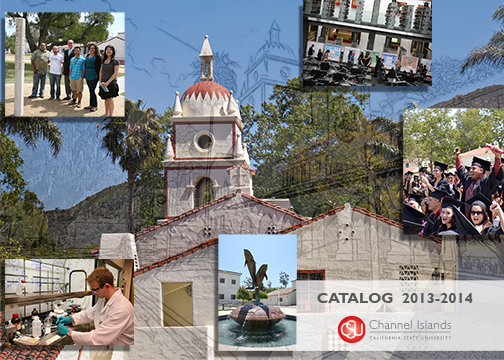 Welcome to CSU Channel Islands’ online catalog. The links to your left will allow you to easily navigate through the various sections of the catalog. In addition there are tutorials and aids like your personal portfolio to help you retain the information that is most important to you. We hope you find this catalog convenient and easy to use. If you have ideas about how we could improve this catalog, please e-mail your suggestions to Kathy Musashi at kathy.musashi@csuci.edu. Thank you!